With the deepest possible respect, I offer up my thanks to the sandwich artists at the Hoagie Hut. Their efforts have kept me going for years. Dear Hoagie Hutters: Thank you. 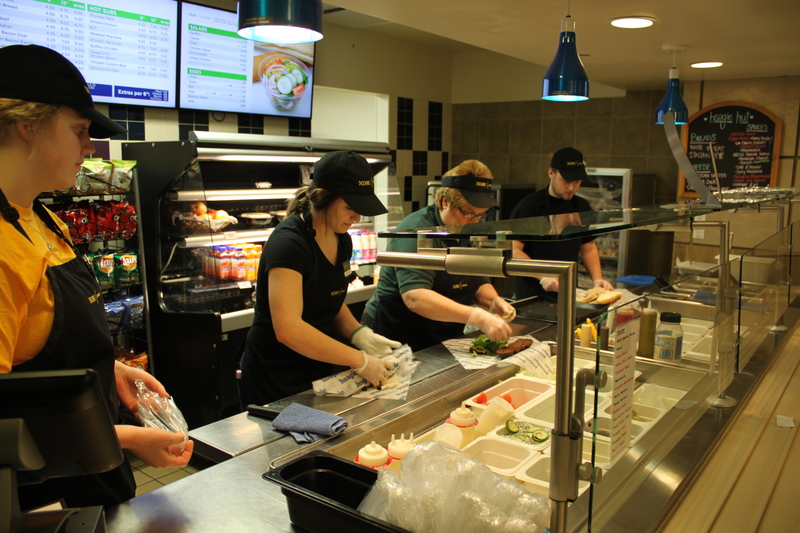 RIO BERGH | THE SPECTRUM | Sandwich artists at the Hoagie Hut work in concert as a smoothly oiled machine. If I’m completely honest, I’m writing this in the hopes of getting a free sandwich out of the deal. Other than that, my motives are completely pure. After all, I have the deepest respect for the champions who know my order as soon as I descend the steps to the food court. You’re the ones for me. 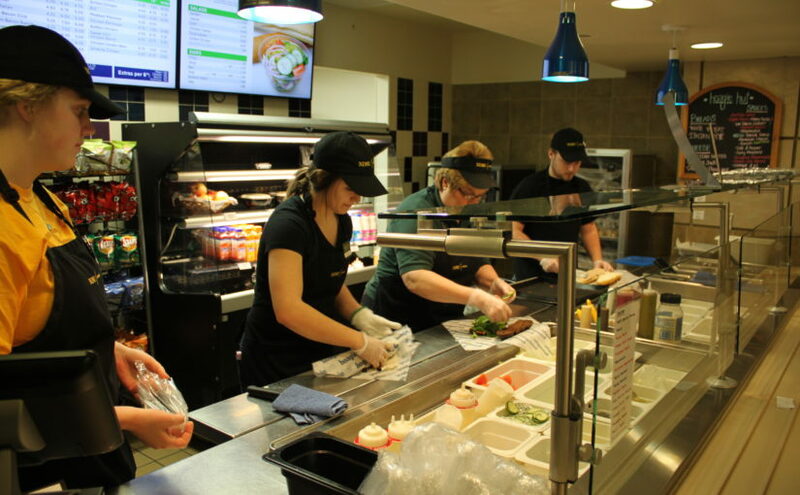 The Hoagie Hut has something special going on. 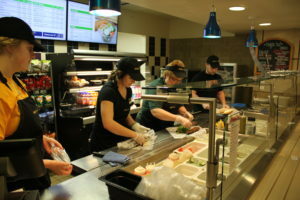 To find out why their sandwiches are so darn satisfying, I spoke with Garrett Flint, a fifth-year student in electrical engineering, fourth year veteran of dining services and a sandwich artiste extraordinaire who has been honing his technique for years. Flint’s answer surprised me. I always assumed it was something secret in the hummus, but Flint gave me the run-around. I would’ve grilled him more about the hummus, but he was too nice. I’m not shocked about that, especially since they get to see my smiling face so often. I get the niggling feeling in the back of my brain that me being a paying customer might be a factor. But I’m willing to suspend that doubt and assume they love me. And so, dear Hoagie Hutters, even though you didn’t tell me all your secrets, I forgive you. Because I love you too. And I’ll keep coming back.